Dreaming of outdoor lighting that’s part of your home’s design rather than emitting a random spotlight glare? 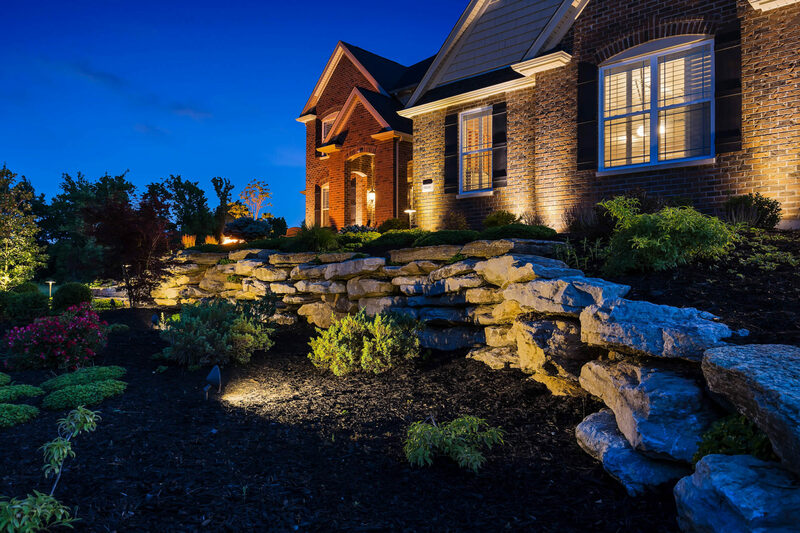 Professional lighting from Dusk to Dawn Outdoor Lighting of St. Louis will highlight your home’s accents and landscape features, exhibiting their beauty while adding soft lighting to functional areas like driveways and pathways. The proper outdoor lighting installation can also help eliminate tripping hazards and add security, warding off would-be criminals. 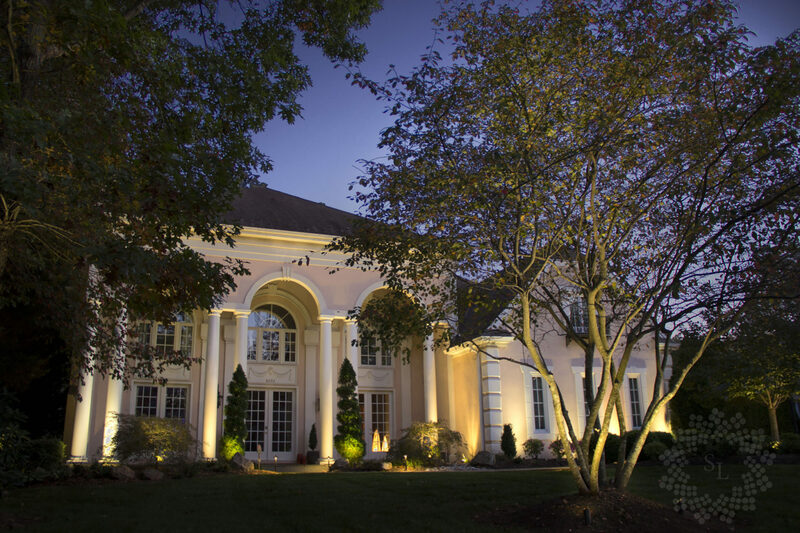 The best thing about landscape lighting from Dusk to Dawn is that you get all the benefits of beauty, safety, and security while bringing your home out of the shadows and into the light with little to no effort on your part! Couple your vision with our design and installation expertise and you end up with a thoughtful outdoor lighting experience that is not only stunning and innovative, but functional and efficient. With low-voltage LED lighting, it is easy to design a different feel and ambiance for various areas of your home and property. There are many different types of LED lighting to show off your home’s splendor at night by highlighting your beautiful landscaping, patios, pools, outdoor living areas, and the architectural lines and features of the home itself. 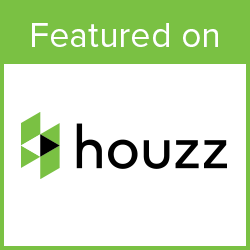 Make your home an inviting show-piece, accenting its unique architectural and landscape accents. Bring gorgeous daytime features and landscaping alive at night; give them depth and a new look. Enjoy your outdoor living and cooking areas without the blinding glare and heat of spotlights. No more fighting masses of insects from regular lights; insects are not attracted to LEDs. We also have a special mosquito-deterring option. Escape the hustle and bustle of your day and relax in the soft outdoor lighting of your patio or porch. Your living space is expanded with outdoor lighting that appears to flow as if continuous from inside out. Relax near a water or garden feature that may have been invisible before after dark. 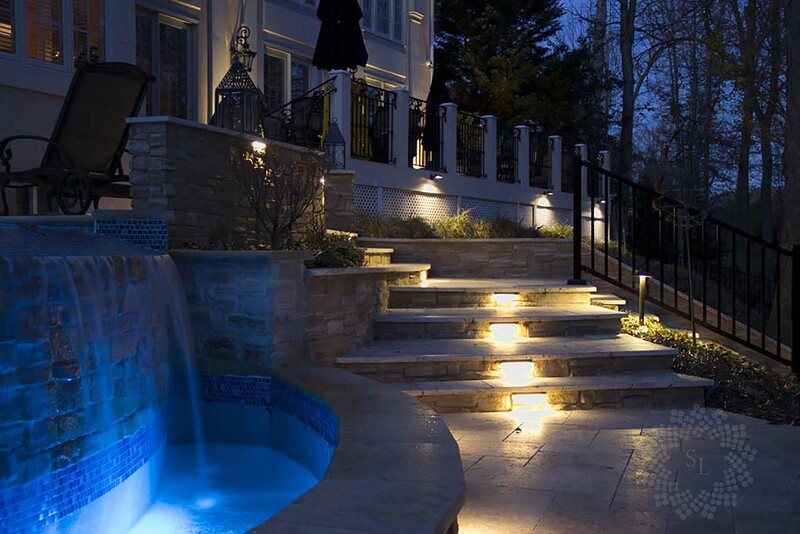 Not only does outdoor lighting add beauty, it adds value. Offers safety and security from accidents and criminal activity. At Dusk to Dawn, you are not just another lighting project – we get to know you and value your business; we want to make your outdoor lighting dreams a reality. When you contact us, you get a complimentary, thorough design consultation. A professional no-obligation lighting proposal that blends your vision with our expertise. Thoughtful and efficient installation by highly qualified installers who can handle any field conditions or obstructions. Top-of-the-line products and equipment using the latest technology. Lengthy manufacturers’ warranties on fixtures and LEDs (up to lifetime). Optional affordable Annual Maintenance Agreement. During the installation process, we respect your property and do everything we can to be unobtrusive. We use only high-quality brass fixtures and LEDs, providing you high-efficiency, long-lasting lighting that performs through all seasons, in all temperatures as it should with no surprises. Once your outdoor lighting installation is complete, we follow up with you to ensure you love your new outdoor lighting and make any changes you may want. We also offer a no-hassle maintenance program to keep your system running smoothly after the warranty period. It has never been easier to control your outdoor lighting on a daily basis. You can change the ambiance and security of your home from your smartphone, tablet or computer. This is a super option for traveling, the change of seasons, or daily changes for optimal outdoor living. Ask us about convenient Smart Home outdoor lighting today! 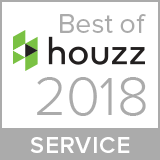 With Dusk to Dawn Landscape Lighting as your outdoor lighting expert in the greater St. Louis area, you can feel confident that you’re getting the highest quality products, most reliable service, and top-notch expertise from a local company that truly cares about your satisfaction.